Built by Imre Légmán and Géza Bárány. 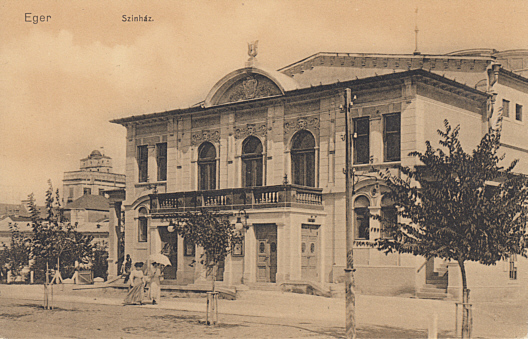 Opened 20 Aug 1904. 650 seats. 1955 renamed in honour of the Hungarian writer, Géza Gárdonyi (1863-1922). 1961-1964 major rebuilding and extension by László Mányoki, János Szutor and Pál Moser, leaving hardly anything of the old building. 2000 renovations and rebuilding by Csaba Bodonyi, incorporating a copy (?) of the 1904 facade. Reverse Text: "Eger, Gárdonyi Géza Színház. 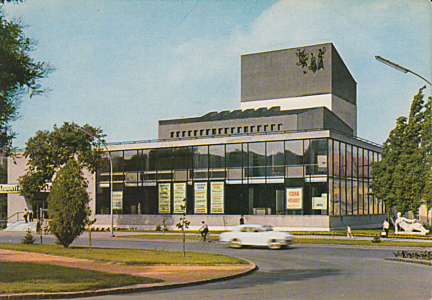 Gárdonyi Géza Theater; Eger. Teatr im. Gezy Gardoni"